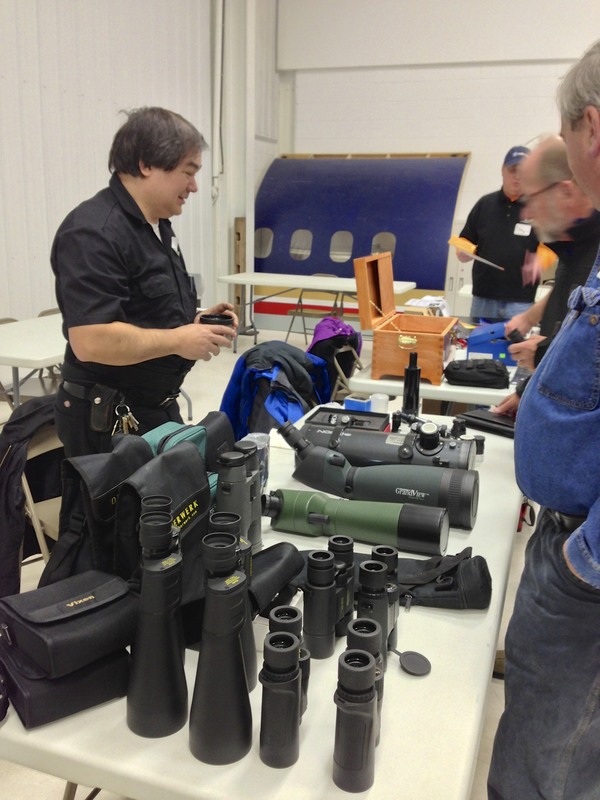 On March 28, the 8th annual Astronomy Swap N Sell event will take place at the Aviation Heritage Center in Sheboygan Falls, WI. 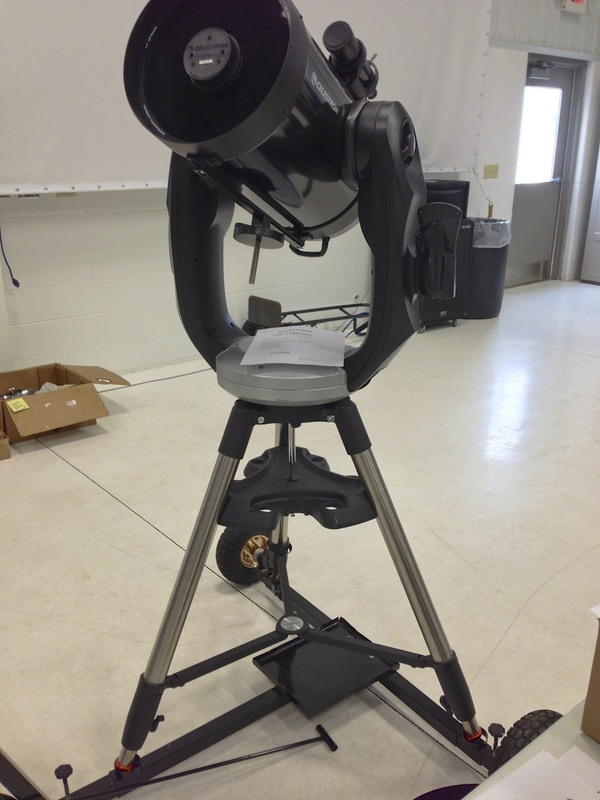 Created and sponsored by the Sheboygan Astronomical Society, this has become a favorite event amongst area astronomy enthusiasts. 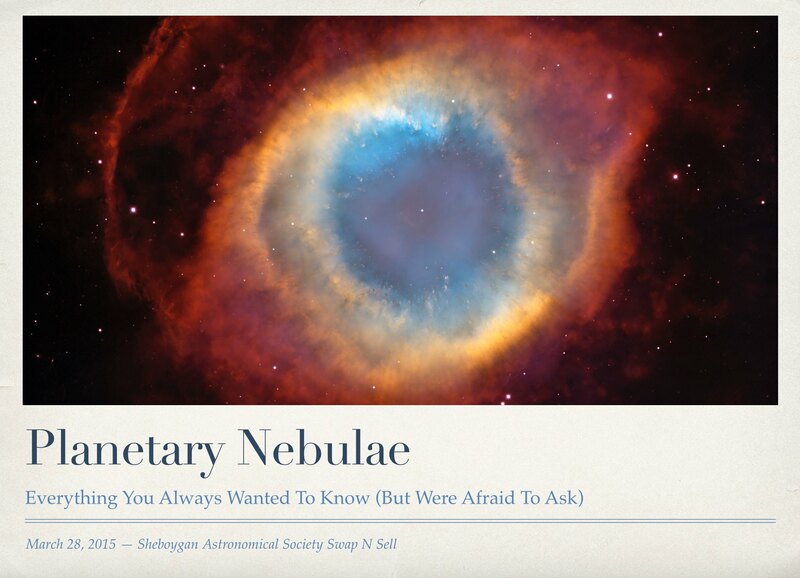 Late March is the perfect time to dust off the cosmic cobwebs that set in over the long midwestern winter, and the prospect of seeing friends from across the state — and even the region — really gets my astronomy juices flowing. It begins with breakfast at a nice place on the way. My go-to for this was the Madison Avenue Inn nestled in the tiny town of Cascade, WI — but now it’s gone. Hopefully, we’ll find an alternative to Taco Bell’s “AM Crunchwrap” that one of my friends likes so much. How do you get to the Aviation Heritage Center? 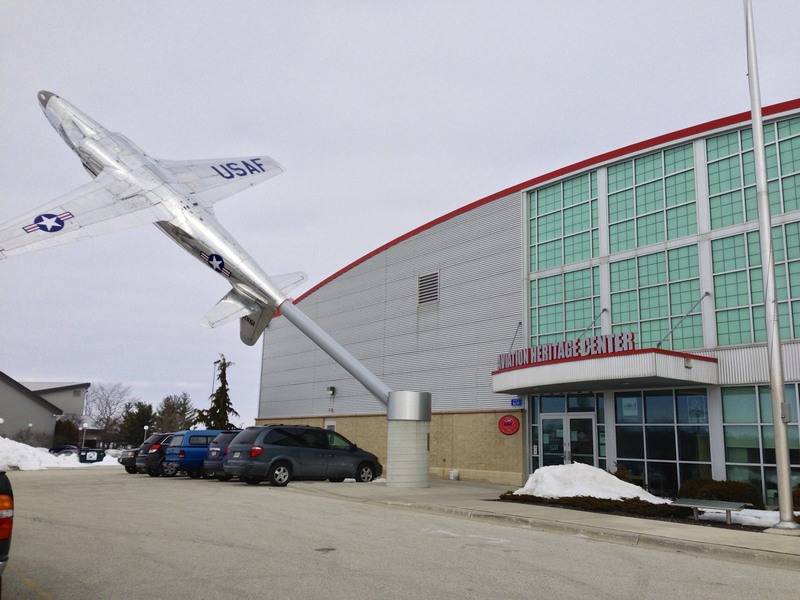 Just drive to the Sheboygan County Memorial Airport, and the building you’re looking for is hard to miss! Parking under a USAF jet is only part of the fun — there is a “sound effects” button on the mounting post that really adds to the experience! Once inside, you pass through the little museum into the main room, where all the action is. It’s important to know that there is a full kitchen off to the left of this picture, where you can get Sheboygan-style brats (yes, a double-brat on a Johnston Bakery hard roll). You can also get “regular” brats if you want, as well as other snack-type items and beverages. I heard that this year they are adding a “Pluto Burger” so we’ll just have to see what that’s all about…in the interest of documenting the event, you understand. 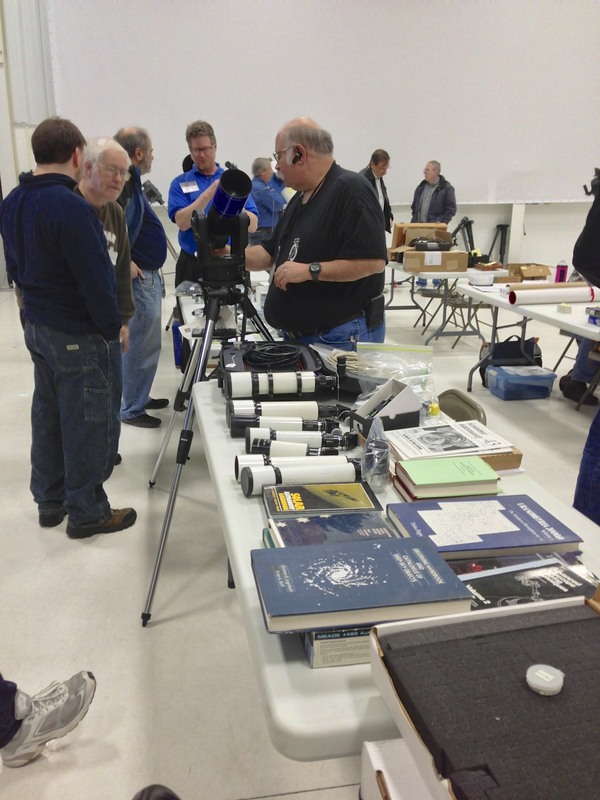 Plenty of astronomy people and gear at the Sheboygan Astronomical Society’s annual Swap ‘N Sell event! Cafe tables are shown to the left and stretch back to the serving counter at the kitchen. 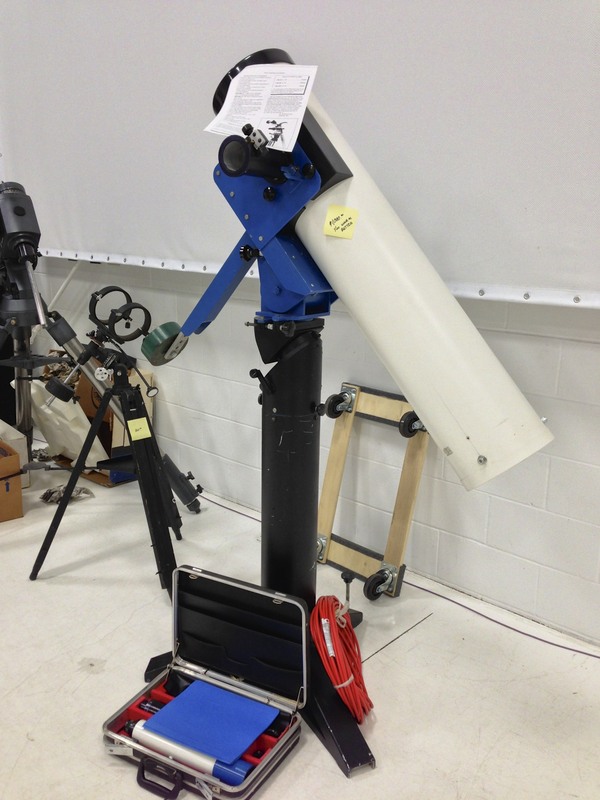 You can find all kinds of telescopes, binoculars, eyepieces, books and other fantastic stuff. It’s different every year, and the more people who attend, the more there is to choose from, which is great because as word gets out the event is getting bigger. Everyone has such a great time, regardless if you’re buying, selling, or browsing! It’s nice to see old friends and make new ones. 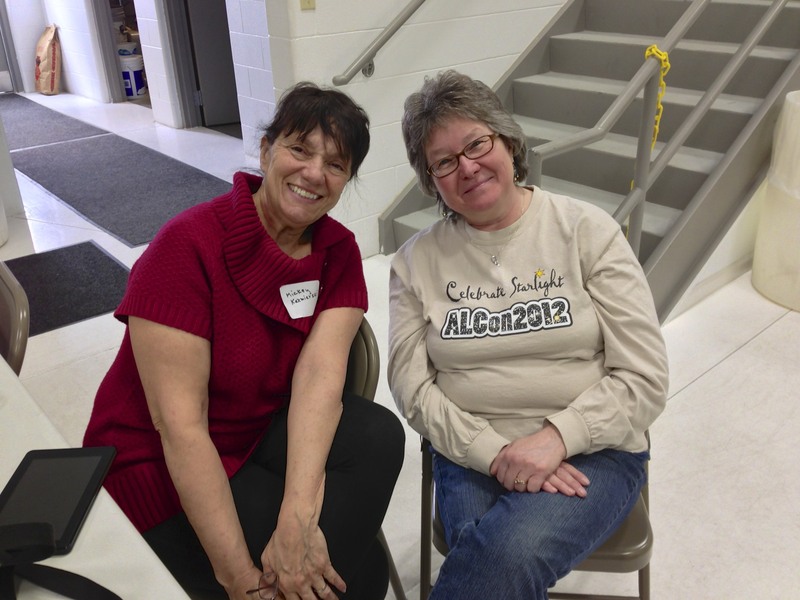 Mickey and Charlotte are two of the many members of the Northern Cross Science Foundation who attend the Swap N Sell. You never know what you’ll find at the Swap N Sell. I’ve been looking for a copy of the Glass Giant Of Palomar for years, but didn’t want to pay the huge asking prices for the relatively rare book. A few years ago at the Swap N Sell, I found a copy at an excellent price, and in fact, I gave the seller more than he was asking. The Stokes Sandpiper 15-45x65mm angled spotting scope is long out of production, and I was delighted to find it as well. 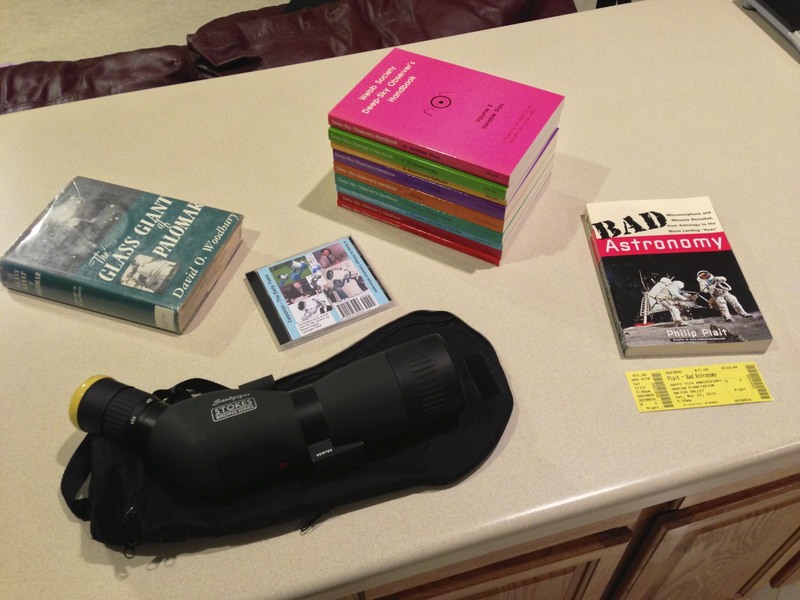 In 2013 I scored some awesome stuff at the Swap N Sell, and then joined some friends in a trek up Menasha to see Dr. Phil Plait talk at the Barlow Planetarium, where I got a signed book! 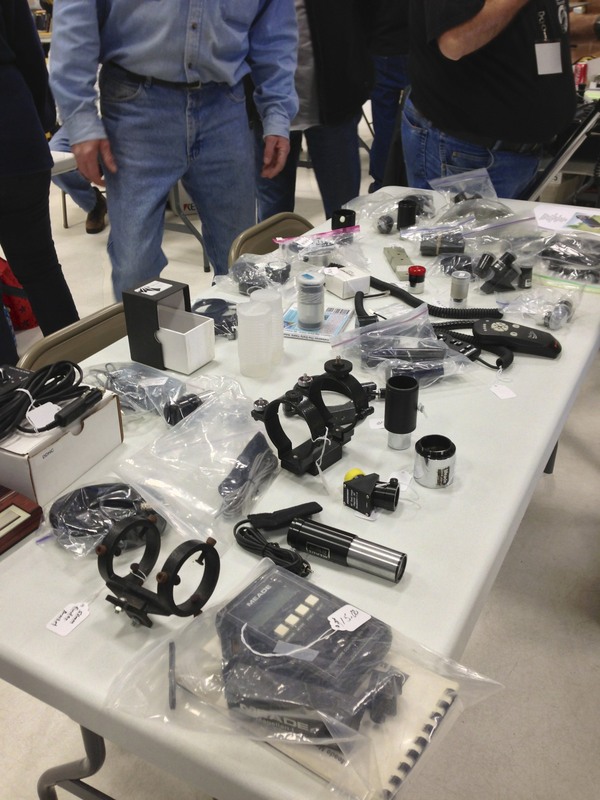 So, mark your calendars and tell your friends about the Astronomy Swap N Sell on March 28. As the event runs from 9am to 2pm, early arrival is advised. I hope to see you there, and maybe we can even do a little business to boot! ← Songs Of The Season … from a long time ago. Hey Jeff – great write up. I’m so excited to go to this event for the first time this year. 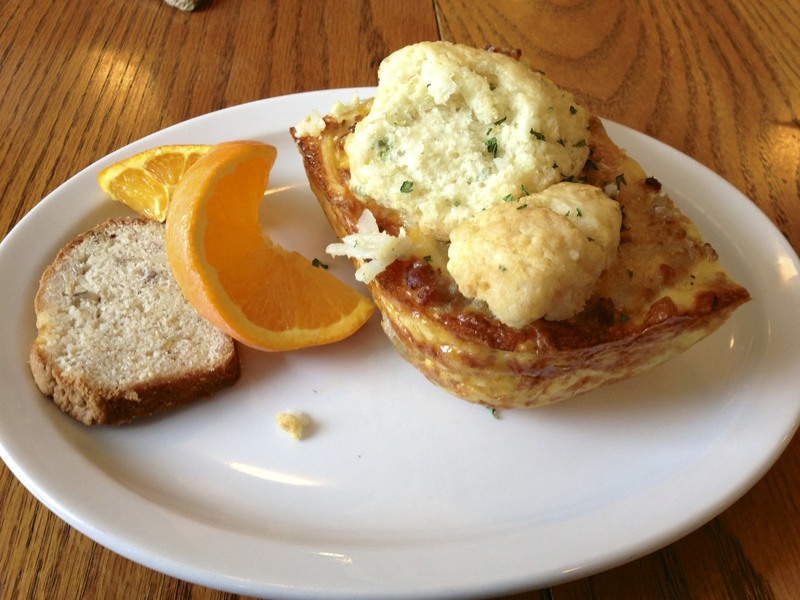 I would highly recommend checking out the Exchange Bank Coffee House in Plymouth, WI for breakfast. Thanks for the compliment — and the tip! I’ll definitely check it out!